Xperia Z Ultra is one of the most affordable phablets in the market, and if you are planning to buy one, this is the perfect time. Planning to buy Xperia Z Ultra? This is the perfect time because amazon is offering this great phone at a reduced price of Rs. 19,900. Just a few days ago, Flipkart also reduced the prices for the black Xperia Z Ultra and the purple variant of Xperia Z Ultra, but now the deal is not available and now the price is Rs. 22,500 on Flipkart. Meanwhile, Croma, the electronics store owned by Tata has also reduced the price for Xperia Z Ultra (Black) and offering at Rs. 19,990. 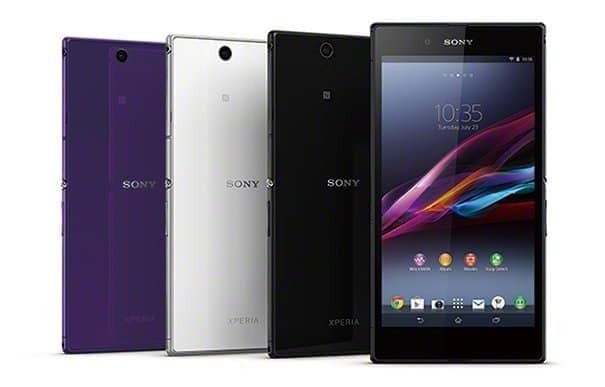 Now, Amazon is offering reduced prices for all three variants of Xperia Z Ultra- Black, White and Purple. Introduced in June last year, Sony Xperia Z Ultra features a 6.4-inch full HD display and is powered by a 2.2GHz Qualcomm Snapdragon 800 processor coupled with 2GB of RAM, and 3000 mAh battery. On the imaging front, the device packs 8MP rear camera and 2MP front snapper. Other specifications include 16GB of internal storage, microSD card slot and Android 4.4. Sony has already promised to provide Android 5.0 update for Z Ultra, so you can expect an upgrade to Android 5.0 very soon. There are no words about the validity of this price cut, but you can expect this deal to be available at-least for a week.